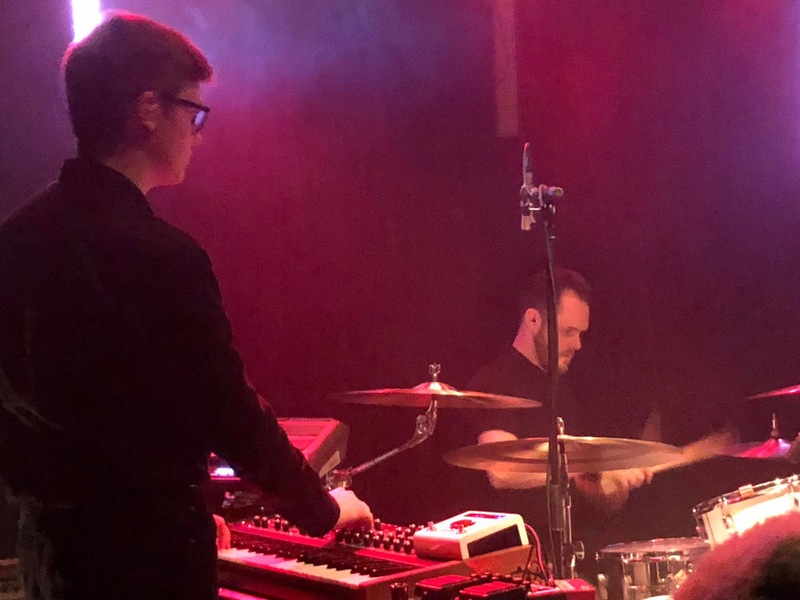 Ist Ist’s headline show at Hebden Bridge Trades Club as part of Independent Venue Week sold out in advance and a packed room witnessed them launch their Everything Is Different Now EP in style. 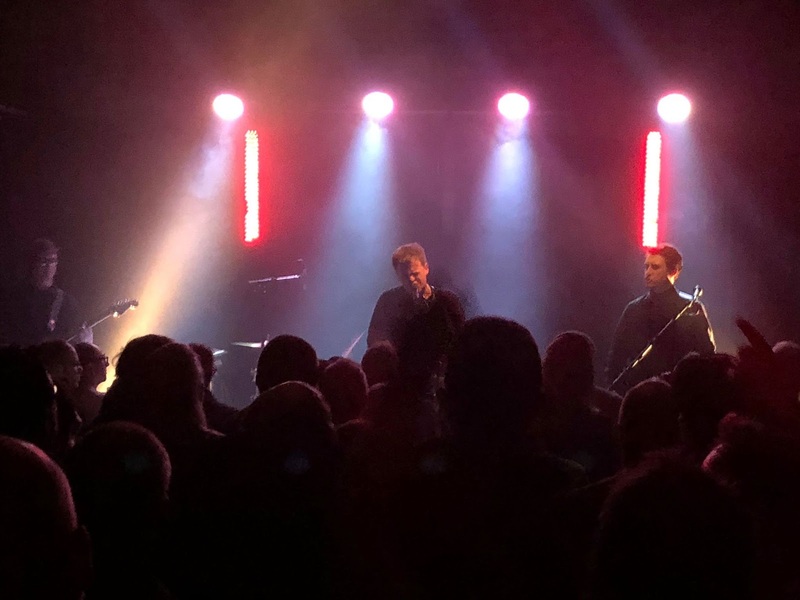 With PINS as their special guests playing entirely new material the evening in the country’s finest venue, independent or otherwise, the show captured perfectly the spirit and essence of exactly what the week is about. As with their Slow Readers Club support slot before Christmas PINS’ set is all new material and a real change in direction. 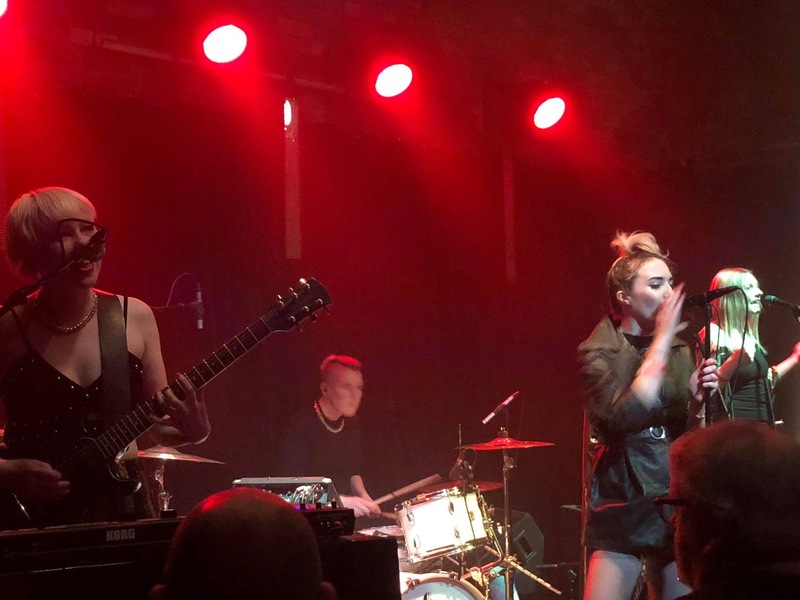 With just Faith, Lois and Kyogen remaining from the line up that recorded their last album Wild Nights and the addition of two vocalists and a new drummer, their sound is just as direct as before but with a more polished sheen to it. 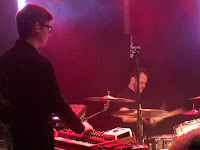 Electronic backing tracks combine with live drums, guitar and bass to give their sound a more upbeat boost without ever quite wholly disconnecting from the PINS ethos. 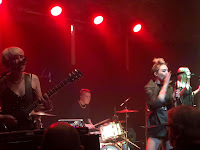 Songs like Bad Girls Forever, where Faith spells out B-A-D repeatedly, and Ponytail are assertive powerful statements as is the GIRLS GIRLS GIRLS banner draped in front of Lois’s keyboard stand. They come out amongst us bringing the song to us during closing song Bad Habit after encouraging the predominantly male crowd to throw off their inhibitions and follow their dance moves which they do awkwardly. It’s a brave move to dispatch with any reference to your past with two well-received albums and a few EPs behind you and start again, but PINS are doing that and based on the reception they get it’s working for them. 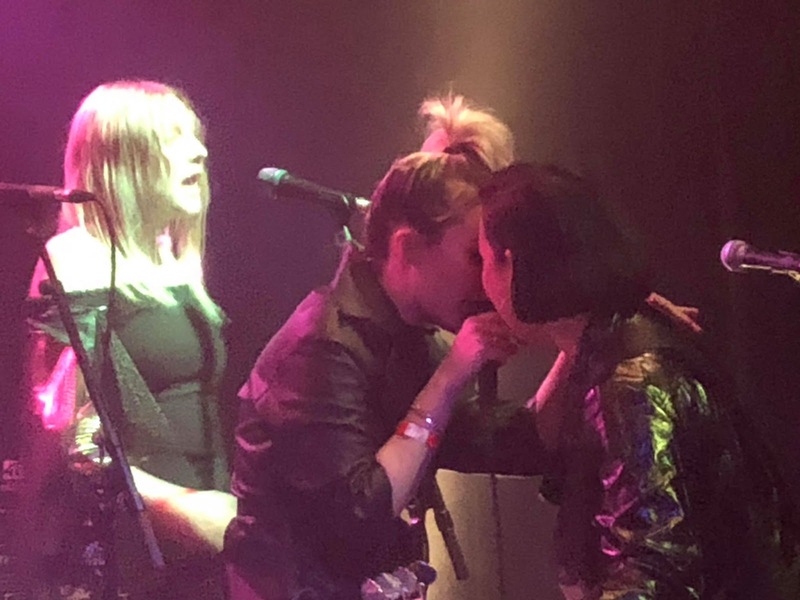 That Ist Ist are firstly being added to the week-long bill containing musical household names and darlings of the 6 Music daytime playlists (who we love, that’s not our point) is testament to the Trades’ independent spirit and booking policy. That this gig has sold out is down to a triumph of the band’s art and spirit against a brick wall of a local and national radio blackout, the need to balance day jobs with the band, no management, booking agent or special partnership and no one feeding them to Spotify playlists. It’s also the refusal of people to touch them because they have an opinion, heaven forbid, about how their music and art should be presented rather than some identikit entity that does exactly what they’re told, churning out “bangers” that are really songs so flaccid that they couldn’t stand on their own two feet given more than a passing examination. Ist Ist’s songs hit you, if you pardon the almost pun, right between your eyes, stare you out until you submit to their dark charms. They are striking a chord with a growing number of people though through word of mouth, something bassist Andy acknowledges at the end in an impromptu speech thanking everyone and asking us to go and spread the word. 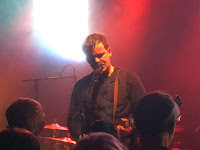 Their armoury of songs is expanding too, another new song Black complements the five from their new Everything Is Different Now EP, the four from its predecessor Spinning Rooms as well as early singles Night’s Arm, Silence, Strangers and Right Before Your Eyes. Like all great bands they’re progressing and developing their sound naturally and organically rather than trying to reinvent themselves. Black is a battered bruised love song, musing “I can’t make the seas part for you, there’s nothing I’d rather do” in a sense of desolation and desperation. The addition of Mat has widened the palette they have to work with and the exquisite sound that the Trades team have set up for them and the audience’s attention allow us to hear all the nuances that Ist Ist now have. Where once there was brute force, they’re now more targeted and focused on the detail allowing the wrought emotion in Adam’s deep voice to really come to the surface, no more so on the exceptional duo of I Wanna Disappear and Undignified, that make up the second half of Everything Is Different Now, and the menacing Preacher’s Warning that follows it. Diversion takes us on a winding road, a storm building in the distance, getting closer before the torrent hits you and finishes you off. Selling out the Trades midweek is a genuine triumph for Ist Ist and you sense they feel that they’re starting to ride a wave and they’re brinming with as much confidence as their serious exterior will allow them to show. The audience’s attention is focused on them throughout, intently caught up in what they’re doing. They’re a band to immerse yourself in, dive down into and live in the songs and the moods they create because they matter in a world where music still matters and isn’t a here today gone in an hour distraction. 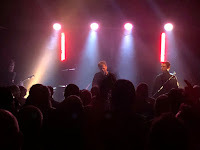 Ist Ist play Leeds Lending Room (February 28), London Sebright Arms (March 1), Hull Polar Bear (5), Sheffield Cafe Totem (9), Nottingham Rough Trade (15), Manchester Gorilla (16), Edinburgh Sneaky Pete's (30).